What Happens When you get Cut or Stabbed? Happy Easter Everyone! For many of us, when the going gets tough the spiritual fortitude provided by our faith keeps us going. If you get the chance, try going to Mass today. I’m just back from it and feel great. Its been some time since I last went to Church. I’ve been neglecting my spiritual life a bit lately but I’ll try to address that in the future. I’m one of those Catholics that feels he has enough faith, prays frequently, but for some reason just doesn’t go to Church much. God is everywhere and we don’t need to be anywhere specific to pray, right? Other than stepping into Church every now and then and thanking God, at times I’ve spent years without going to Mass. Well, I don’t know why but going to Church today just felt great, and from now on I’ll try to go every Sunday. If you’ve been neglecting your spiritual life lately as well this would be a good time to be honest and see where it may be improved. 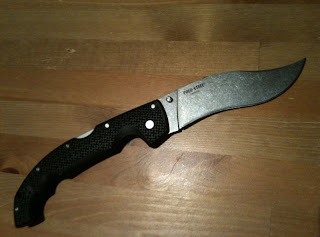 For many years now I’ve written about the virtues of the recurved blade. The “S” shape works in such way that it catches within its curve the material you are slashing at and forces it into the edge rather than letting it slip as you would see in straight or simple curved blades. With the Nogales tip that Cold Steel uses in their Vaquero, you still have a narrow tip that penetrates well. 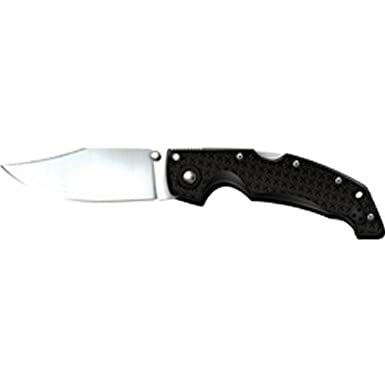 The latest Cold Steel Vaquero XL has several improvements over the previous models. The blade in the Vaquero XL is indeed large for a folder, 5 ½” inches long and 4mm thick. The steel is Aus8A, which Cold Steel knows how to heat treat well and achieves satisfactory results in terms of toughness, edge retention and ease of sharpening. The grip is without a doubt one of the greatest improvements from previous models. It feels comfortable with space to spare even for big hands. A deep depression where the index finger rests makes for a generous finger guard, which is something that adds security and confidence for defensive use and heavy duty tasks. The clip is smaller than it used to be which is a good thing. Its only as big as it needs to be, and it comes with a spare clip for left hand carry. It only allows for tip up carry though. The “Grivory” handle is strong, reinforced on the inside with aluminum liners. The handle has an aggressive cross pattern texture for better retention. The locking mechanism, a back lock system called TriAd, is one of the strongest in the market. Bronze washers make for a fast and effortless opening. In spite of the size the big folder carries well. Even when carrying it on normal jeans, walking around, driving or sitting, you simply forget abut it. This is a big knife, especially effective for defensive purposes. It doesn’t hurt either that it’s as intimidating as few knives out there, which is something I got to personally test a few years ago. Where and when legal to carry, and when looking for a knife specifically for defensive purposes, this is what I would carry. I did in fact carry the old Vaquero for several years in Argentina. The knife costs around 50 USD and for that price it has to be one of the best deals around these days. If defense isn’t the main role you have in mind for the knife, then the more classic Clip Point version may suit you better and will be easier to sharpen. You thought that the Argentine government had gone nuts when they froze prices and banned supermarkets from advertising in newspapers? Well, that’s the beauty of Cristina Kirchner’s government, whenever they do something ridiculous in an attempt to stop sky rocketing inflation you can rest assured that their next measure will be even more bizarre. Say hello to the “Supercard”, the credit card that the Argentine government will force people to use while boycotting the ones already found on the market. Domestic Trade Secretary Guillermo Moreno came up with this brilliant idea. Why let Mastercard or Visa keep 3% when you can force everyone to use “Supercard” that charges just 1%? Isnt it fantastic how these people chose what’s best for you? There’s the small matter of individuals actually having the freedom to use whatever kind of card they want, rather than being forced to use a shady credit card created by corrupt politicians and their associates. For now, Supermaket Association Juan Vasco Martínez said “no one’s talking about banning anything… but” said Martinez smiling like a weasel “ lets say the dynamic created by the Supercard will end up excluding the others, because of the market…”. The Argentine Ripoff BS - English translation would be: The government got together with the main big name supermarkets and together planned to get rid of credit cards and force everyone into using their own lousy credit card called “Supercard”. I cant wait to see what snake oil solution they’ll come up with next. It was very much unavoidable. As of right now, people in Cyprus are hungry for hard cash. For paying in gas stations, even groceries, suppliers want cash. Milk and medicine for your child? Cash only. The problem isn’t just bank accounts being frozen and cash becoming a rare commodity as ATM become empty. Suppliers and business owners want cash because it’s the only way to keep it out of the blood sucking banks that just stole a cut of people’s money! How many times have you read it here? You must have at least one month’s expenses worth of cash, and more is better. The simple matter is, no banks can survive a bank run. Doesn’t matter what bank it is and what country you’re thinking of. If everyone tries to close their accounts at the same time people will realize that there’s hardly enough cash in the average branch to cover 1% or 2% of the deposits, let alone everyone at the same time. These days, you just never know and you’ve got to be prepared. There’s always great excuses to freeze people’s accounts. It could be a glitch in the system, a bailout “tax” or a cyber-attack from China. In the current unstable economy that we all live in, you simply need to have enough cash to get by if banks close. Both here and in my youtube channel I get emails and messages from people trying to sort out a reasonable EDC kit. I explained my view on why its important to have a basic set of tools with you at all times in the video on my previous post. When disaster strikes, or when minor life inconveniences show up, what you have with you in your pockets is usually all you have to work with. 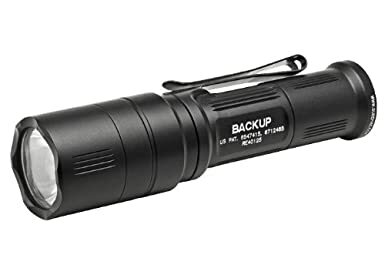 It can be something as simple as opening a package, repairing something with your multitool, or something as critical as finding a lost child lost in the woods during a day hike, signaling for help or defending your life. 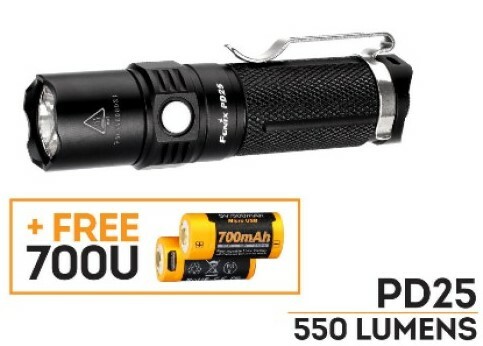 1) Budget EDC: An affordable but high quality multitool and a good +100 Lumen LED light that uses cheap (and readily available) AA batteries. Sorry, no folder here, but the blade in the Sidekick can be opened single handed and carried clipped to your pocket. 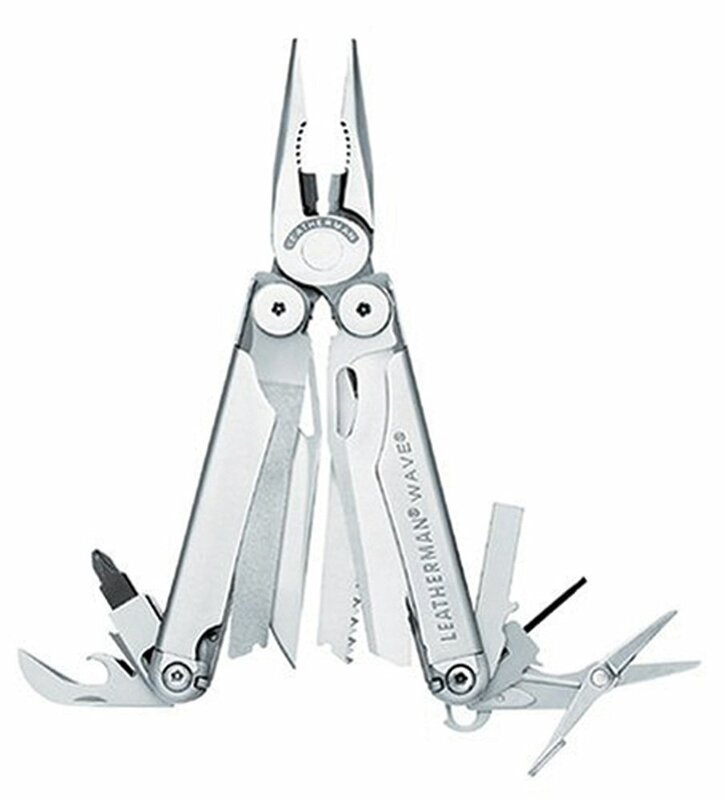 2) Mid Range EDC: Here we have an excellent multitool, a heavy duty folding knife and a 200 lumen LED. Id be a happy camper with these. 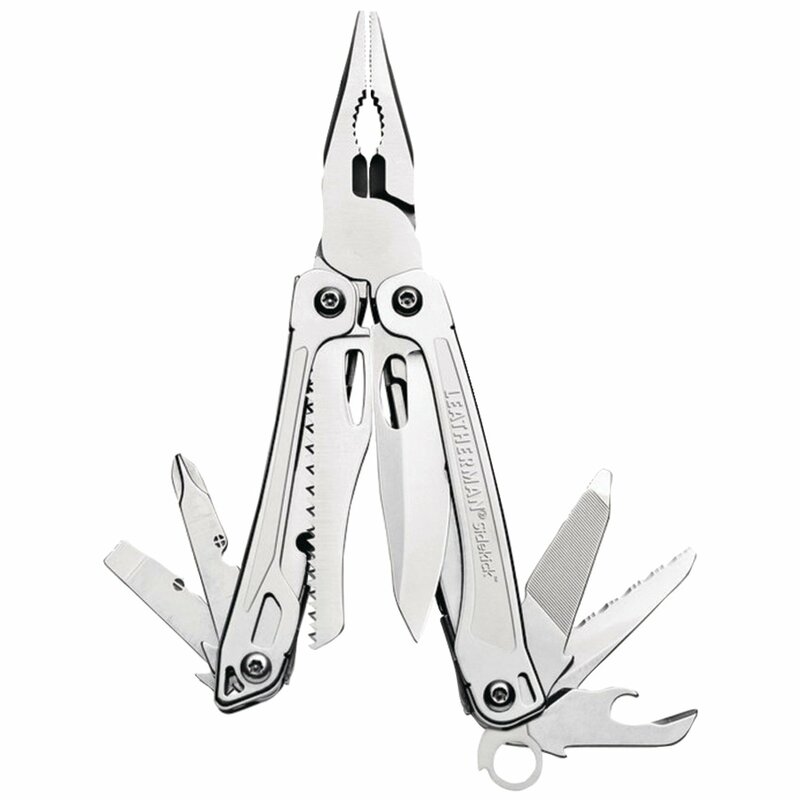 3) Premium EDC: Top of the line gear. 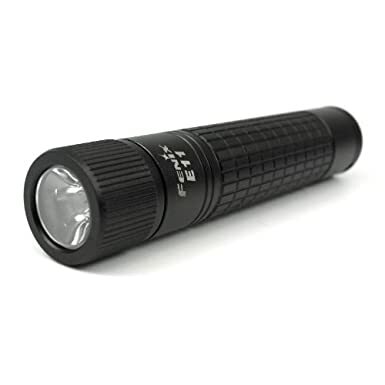 A Surefire LED, undisputable military grade toughness and reliabily, though a Titanium Sunwayman Sirius M11R XM-L may be more classy. 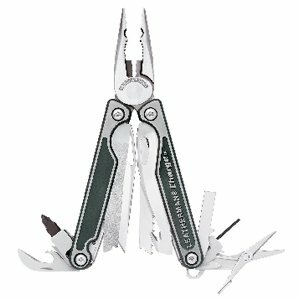 The best multitool money can buy and one of the most common folders of choice by Special Forces around the globe, in this case the recurved Commander model. Yes, you have to throw in a lighter and here I have no perfect answer for you. A Bic will do nicely, but a Clipper which is refillable and has a replaceable flint would be better. I like Djeep lighters too because they have the exact size to fit a few inches or duct tape around them. Zippos are Imcos are nice though not as practical, given that the fuel does evaporate sooner rather than later. An Imco will last tice as long as a Zippo though, and either way you still can use cotton as a filler which you could ignite with the flint and wheel. Whatever you choose, do have a lighter. That’s it guys, as of right now these are my suggestions. Yours may be different, there’s plenty of good gear out there but these are some of the ones I know you can’t go wrong with. Whatever you do, dont buy junk. Its not worth it, not when quality gear is affordable. 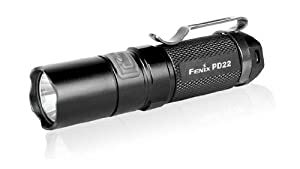 If you have other EDC suggestions let me know on the comments section. Longer video talking about the possible uses of pocket everyday carry gear and Modern Survival mindset in general. So bankers are being bailed out while the people of Cyprus (and thousands of expats) that worked hard, made sacrifices for years are left to pick up the tab. If you saved over € 100.000, you get a 10% “tax” (some people in the streets of Cyprus are calling it stealing), if you have less than €100.000, its 6.25%. Lets suppose you just got a loan for € 100.000 to start a new business, same thing happens, you lose 10% and still have to pay back in full. Its noticeable how ordinary people that save money, try to invest or start a new business get punished while banks, and make no mistake the banks in Cyprus are branches of the exact same banks that are found in the rest of EU and USA, those get to steal people’s money. Walk into a bank with a gun and demand money and you are a bank robber. Make a few phone calls and steal billions worth of people’s savings and you’re an Executive Board member. The mechanism that takes place is the same one so often discussed here. 1)The measure is usually announced Saturday Morning. When people rush to those banks operating on Saturdays for a few hours, they find those branches conveniently closed. Oh, by the way, there’ just happens to be a Bank Holyday on Monday. 2)The limit on ATM is € 1000. Its not the banks fault if people empty those ATMs in a matter of minutes, or if they … “forgot”… to top up some ATMs the day before. Oops! 3) You cant use online banking and transfer your savings out of there. For the thousands of ordinary people, and especially for many Russian millionaires and those in Greece that though of Cyprus as safe off shore banking safe haven for their savings, you’ve just been punk’d! A closed cooperative bank shop in Limassol, Cyprus. Everyone is talking about the new Pope Francis, former Father Jorge Mario Bergoglio, and there’s indeed lots of reasons to be excited about it. This is a man that just a few days ago, would take a bus and then walk into some of the worst shanty towns in South America, on his own. Even cops have to organize so as to enter by the dozens in these places, even hundreds when trying to arrest someone hiding there. He would visit them, baptize children there, help organize soup kitchens and spend time with some of the poorest, most needy people in the country while at the same time speak against the government handouts and state sponsored poverty. A lot has been said about him in these last couple days. A Jesuit, humble man that refused to live in luxury when his position would have allowed him to do so. He lived in a small two room apartment in Buenos Aires and traveled in bus and train. While of course strongly opposed to gay marriage and abortion, he’s not beyond helping those that society sometimes chooses to ignore. He visited people infected with HIV, washed their feet as a sign of humility and servitude, he visited the victims of the Republica Cromagnon fire that claimed the lives of 194 people and those of the Once train station crash where 51 people died. Pope Francis, then just known as Father Jorge Mario Bergoglio (he didn’t like being called Cardenal) criticized the government. In the first incident, fire exits had been bricked shut or chained closed, clearly someone had bribed the fire inspector. Regarding the train accident its well known that the train failed to stop at the station due to breaks malfunction after decades of neglect by the train company that is subsidized (and supposedly supervised) by the government. The relationship between Cristina Kirchner, her late husband Nestor Kirchner and Pope Francis was “tense” to say the least. Pope Francis didn’t beat around the bush when it came to calling out the visible corruption problems in the government and the crime Argentines have been suffering for years yet the government refuses still to acknowledge. Many times the then Cardenal Begoglio requested to meet with Cristina and Nestor Kirchner but was ignored. When he opposed the gay marriage law, one of Kirchner’s favorite liberal laws, he was mocked by president Cristina Kirchner, saying he belonged to “medieval times of the Inquisition” . Typical of the Kirchner regime, Cristina sent her lap dogs so-called journalists and politicians against him. They accused him of collaborating with the military dictatorship that ruled from 1976 to 1983. This was proven to be a false accusation without merit and there’s actual witnesses, even victims saying he helped them during the dictatorship . What was Nestor and Cristina Kirchner doing at that same time? Working for banks, friends of the Junta, kicking people out of their homes and flipping them for profit. Nestor Kirchner’s sister, Alicia, actually worked for the Junta during the dictatorship, and now holds the position of Minister of Development. Pope Francis held no special animosity against the Kirchners. He just called it as he saw it, just like he did when criticizing previous presidents to their faces during mass, Carlos Menem, Fernando DelaRua and Eduardo Duhalde. The problem is , authoritarian people like Cristina Kirchner and her late husband believe that anyone that dares question them is a mortal enemy. 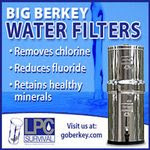 What this got to do with survival and preparedness? 1) I for one, I am happy about Pope Francis. Not because he’s from Argentina like I am but because he will no doubt do at least some much needed cleaning in the Vatican, but also because a lot of people already see him for the honest man he is. During times like these we all need all the faith we can get, and the more people there are out there with strong moral values the better for all of us. 2) No matter how much power you have, don’t make fun of others you consider beneath you, even if you are the president of a country and the other guy is an old priest that spends his time helping drug addicts and people sleeping on the streets. You just never know, maybe one day that guy with well-worn shoes will become Pope and you’ll have to drag your sorry %$” over to the Vatican looking for his approval. I tested different knives to see how they perform when chopping side by side. The knives used were: Cold Steel Kukri machete, a modified Tramiontins machete (which I cut a clip point to, added back serrations and made a new grip for many years ago) Busse Bushwacher Mistress, Busse Team Gemini Light Brigade, GK&Co. Nepalese Kukri and Hultafors Knife. Keep in mind that this test isn’t just about cutting wood, which may be one of the tasks demanded of a knife, but also gives you an idea of what to expect when cutting other media like meat (cutting game) or when used for defense. There’s hardly any surprises for those of use that have been using and collecting knives for some time but its still a fun exercise. 1)Heavier blades do chop better. Even shorter ones like the 7” Busse TGLB did ok for its size. Being blade heavy and having a lighter I beam tang helps. 2) I was pleasantly surprised by how well lighter machetes (Tramontina and Cold Steel Kukri) did compared to the heavier blades which are supposed to excel at chopping. Thin bladed machetes are often intended for thinner and green vegetation but both of them did very well on wood too. 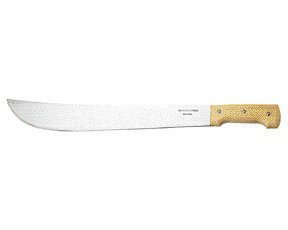 The long reach of the Tramontina and thin profile of both machetes made them bite into the wood with authority. No wonder machetes are such versatile blades, and pretty light to compared to the heavier ones! 3)None of the blades had any problems with chipping or rolling. I’m not surprised given that all the knives tested are outstanding and I highly recommend each one. I’ll include the Amazon links for them below. The Cold Steel Kukri Machete is a bargain knife. I’ve been recommending for years. 4)Kukris rock! I’ll do a proper review later on but the one I just received, the GK&Co. 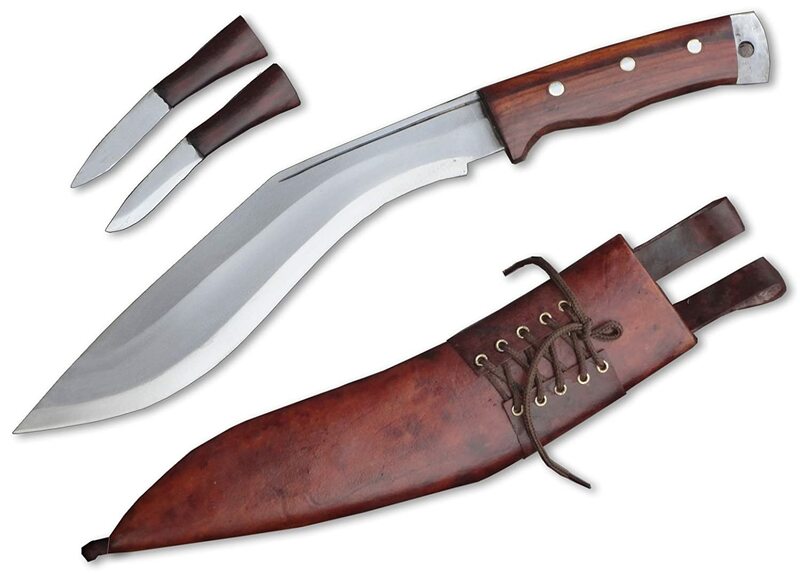 is made in Nepal by real Biswakarma, the caste of Nepalese blacksmiths that make khukuri knives. I’ll do a proper review later on but for now lets say that if you’re looking for a genuine kukri, this is the one I have and I highly recommend it. I’ll do a proper review later this week. 5)Size matters. Don’t believe anyone saying otherwise! The handy Hultafors felt punny in comparison and batoning simply cant keep up with bigger blades that can just chop away. Still an excellent 4” knife, great value at that price. I used that same Hultafors that same day to carve a base for a sharpening stone, at times hammering on its spine using it as a wood chisel. By the end of the day the knife was still hair popping razor sharp. 6)Big thick blades are nice but they do get heavy fast. They are heavy to carry, heavy to swing all day long, not much of a revelation there. At the same time they can be used for prying and hammering tasks which may be beyond the capabilities of a thin bladed machete. I was changing the gas in my emergency generator today and thought of you (I asked you about generators several years ago before I purchased a 2800 W Yamaha with a pure sine wave inverter - very nice, very quite). 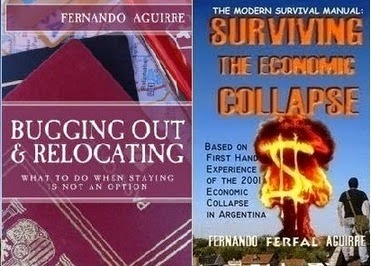 At the bottom of page 217 you wrote, "Example: if the USD crashes and you decide to sell some PM's to buy a month's worth of supplies, do it quickly, sell the PM's or Euros or whatever other solid currency you have and use the dollars that same day or the following day at most"
I understand the concept. Get rid of the currency ASAP due to the inflation risk of a depreciating currency. Otherwise keep the investment in PM's or stronger currency. FYI - I read your book when it first came out and I have successfully prepared according to your suggestions. I have been truly blessed and have accumulated diversified assets over the years. QUESTION: Is having a substantial amount of cash on hand/home (6 months expenses plus) too much? Will having cash allow me to buy objects for a "deal" if the banks are not open for that first week, or is that not how it went down in Argentina? Did the value of money decline immediately? I already have reserve food. But was thinking that when this happens I would immediately take that money, go to the Grocery/Warehouse and stock up large. Once again I have prepared according to your recommendations in the book. I currently have everything else -PM's-Self Defense-4wd-BOL-Bibles-Water-Food. I am just wondering if I am placing too much value on having cash when it does fall apart. Having too much cash is a problem lots of people would love to have :-) ! But I do see your point. How fast a currency loses value can be a matter of hours, even minutes. I’ve related many times how a couple months after the collapse, I was picking up some tools in the hardware store and the employees could be seen running around sticking new prices over the old ones, there wasn’t even time to remove the previous prices. By the time I picked up the drill I was buying, looked around for a couple minutes and made it to the cash register the drill had doubled in price. I complained, we went back to where I picked it and indeed the new price was there, but I peeled off a couple stickers and showed the price at which I had picked it up. In the case of Argentina, with the December 2001 devaluation the peso went from 1 to 1 against the dollar to 1 to 1.4. A couple days later people where buying it on the street for an exchange rate of 1 to 2. You could buy at the “official” 1.4 at banks and sell at 1 to 2 on the street, making money with the “financial bicycle” as it was then called. Within days the official exchange went up to 1 USd to 2 Pesos to stop this. A month later the exchange rate was 1 to 3, two months later it was 1 to 3.6, spiked to 1 to 4 but then went down again and remained at 3 to 3.5 for several years until 2010 when it started going up again. Today the official exchange rate is 1 dollar to 5 pesos, but since buying dollars is officially banned you have to go to the black market where the price is 1 to 7 or 8. Based on what I’ve read, yes, a currency can become completely worthless overnight, but that’s most often the case of very unstable economies like we’ve seen in Zimbabwe, for example. Don’t expect the dollar to lose most of its value overnight, it will be a much slower process, even spikes will be moderate and taking several days. Now, you mention food, guns and even your generator, which are pretty much mandatory in places where storms may leave you without power for weeks. These are the things you need to have for preparedness and which are either impossible or hard to get with short notice should you ever need them in a hurry. Generators will be sold out and fuel will be impossible to find when there’s a big storm, we saw this very recently with Sandy and we have seem similar events unfolding before during other natural disasters. In that case the money does you no good. You need the actual genny and enough jerry cans to get by for a week or two. Same thing goes for food, guns & ammo and medical supplies. Today its hard or even impossible to find 9mm and 22LR among other calibers. If you didn’t stock up back in the day, today you find ammo to be hard to find and expensive. If the dollar crashes, you would see these products going up accordingly. The price of a Yamaha or Honda generator wont stay the same for long, it will quickly go up in proportion to how much value the dollar lost and you will pay two or three times as much as you would have paid before. In that case, the cash you have in your pocket is “melting”, buying you less goods and services as times goes by, especially so for high value goods like guns, a generator or other items that involve significant use of imported components. Still, as you note, yes you sometimes make nice deals during that kind of unstable times. While the currency is devaluating, at the same time there’s a shortage of cash to go around so you can use that as leverage to some extent, especially during the first weeks. After the first three or four weeks the dust settles and you lose some of the leverage even though cash always lands you some discounts. In this case yes, you are better off using the cash that is devaluating, stocking up on food, fuel, paying bills and generally using up the money before its worth even less. Six months worth of expenses in cash is not a bad idea in my opinion. It would sure give you options if things ever get ugly fast, such as buying your way out of there if you chose to escape to a safer country. I like the idea of having enough money in cash to buy plane tickets for each family member, plus some money to get by, maybe rent a place to live as you get settled. Beyond six months you probably want something that is more “economic collapse proof”, so you’re looking at precious metals. My advice for everyone is, cover the basics of a month worth of food, water, and a gun for protection, then have a small cash stash for emergencies. Once you finish with your other preparation supplies, the ones you’re not likely to just go buy during emergencies, build up your savings further, with enough cash at home to get a plane ticket per person plus some more to get settled. 6 months worth of expenses in cash isn’t unreasonable if you can save up as much. You will sure find good use for it in a time of need one way or another. Beyond that we’re talking precious metals, and investments.